WIKA became a leader in the instrument industry by investing in our customers. Our basic business model is to pay close attention to new industry developments and technology, listen carefully to our customer needs, and invest our time and resources to develop products to meet those needs. The new UPT-20 process transmitter is an example of WIKA’s responsiveness to customer needs and our continuing long-term commitment to the process industry. This ground-breaking new process transmitter incorporates intelligent sensor technology that maximizes control flexibility and data gathering capabilities. Management at refining and manufacturing facilities of all types have come to see the benefits of real-time instrument data. Having access to real-time data not only dramatically improves plant safety, it also allows process plants to operate at peak efficiency, minimizing downtime and boosting the bottom line. Of note, flexible intelligent sensor technology allows the UPT-20 process transmitter to be installed using analog communications or using the popular HART protocol for cutting-edge digital control technology. HART is a hybrid control system that uses two simultaneous communication channels: a 4-20mA analog signal and a digital signal. The 4-20mA signal is used to transmit the pressure measurement, and other device information is sent through a digital signal superimposed on top of the analog signal. WIKA’s UPT-20 and UPT-21 Process Transmitter series are designed for use in the process industry. These robust, networkable instruments are ideal for use in refining or manufacturing facilities of most types, including the pharmaceutical and food industries. 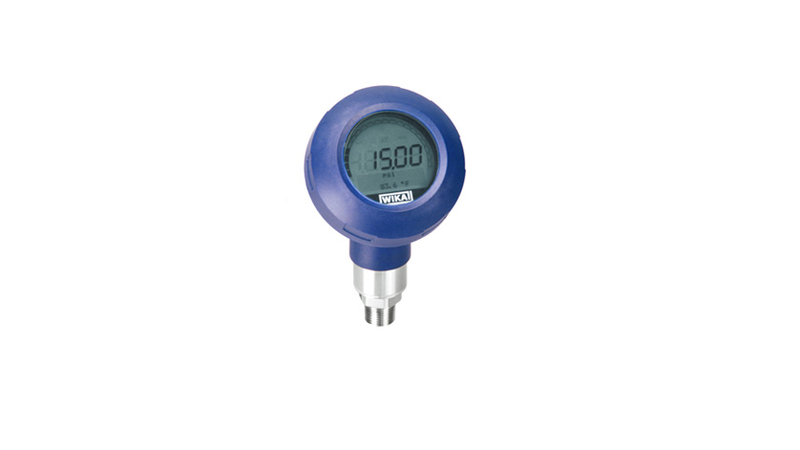 This top of the line process transmitter provides point-and-click menu navigation, a conductive plastic case and a multi-function, rotatable LC display. The measuring cell for the UPT-20 is available in stainless steel 316L or highly corrosion-resistant Elgiloy®. WIKA’s testing lab indicates the accuracy of the UPT-20 and 21 at reference conditions (including non-linearity, hysteresis, zero offset and end value deviation) is 0.15% of span in the standard setting, 0.10% of span with Option 1 and 0.20% of span with Option 2. Get real-time data from your instruments today with WIKA’s new UPT-20 process transmitter. Contact WIKA today at 1-888-WIKA-USA or info@wika.com to find out how the UPT-20 can help keep your processes running smoothly and safely.